The view over Juba Point Salina. Found in the central southeast of Providenciales, Juba Sound is an inland body of water in the central part of the island. It's also the name for a quiet residential area between the sound and Leeward Highway. Most of the houses here are located on the ridge on the north side of the sound. There isn't any beach within this sound suitable for swimming. Much of this region consists of salt marsh wetlands and supports large amounts of black and red mangroves. Although scenic, Juba Sound generally isn’t suitable for kayaking or stand up paddle boarding due to shallowness of the water over the majority of the area. 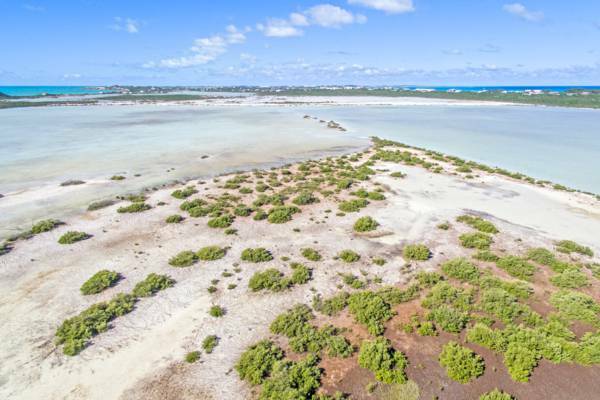 The inland Juba Sound has one clear inlet to the ocean, Juba Point Creek found at the extreme end of Turtle Tail, and adjacent to Caicos Marina. Due to the narrow width of the inlet, tidal flow can be significant at times. The wetlands of Juba Sound. It’s unknown the origin or age of the Juba Sound and Juba Point names, however it was in use at the time of the visit of Dutch-American anthropologist Theo de Booy in 1912. 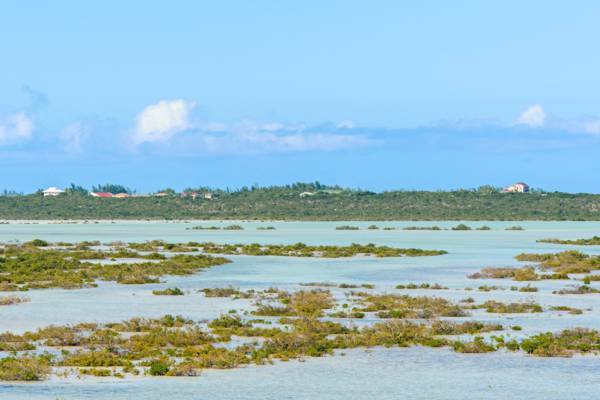 A few small rock “pens” still remain in the sound, a feature that can also be seen in quite a few of the many saline ponds and wetlands in the Turks and Caicos. These rather minor structures were used throughout the known history of the country by the aborigines Tainos, early European explorers and African slaves and settlers to hold live conch for future use. Bonefishing is popular within the sound itself with do-it-yourself bonefishers (fishing requires a licence). Flamingo Lake is connected to Juba Sound and is generally considered easier to fish due to the depth. The residential community of Juba Sound isn't home to any rental villas, but this area is fronted on the south by Venetian Road and on the east by Long Bay, both of which are home to many luxury villa accommodations.